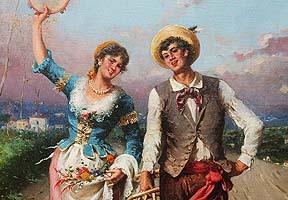 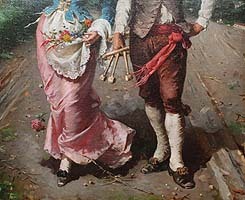 Francesco Peluso (Italian, 1836-1916) A Fine Italian 19th-20th Century Oil on Canvas "The Village Celebration" depicting a young couple of villagers dressed for Spring festivities and walking through a dirt road while playing musical instruments. 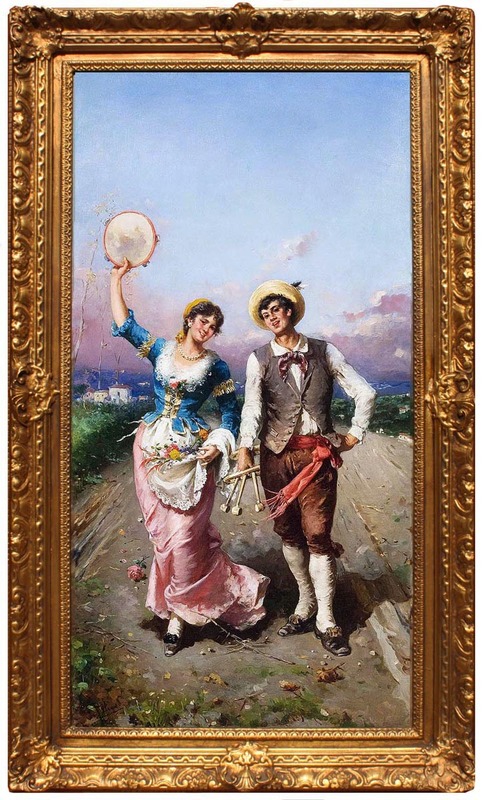 The girl playing a tambourine and the boy a wooden noise maker, within a gilt wood and gesso frame. 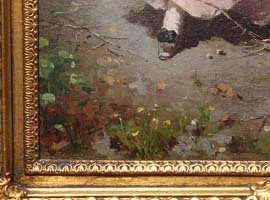 Signed: F. Peluso (l/l) Circa: 1890-1900.